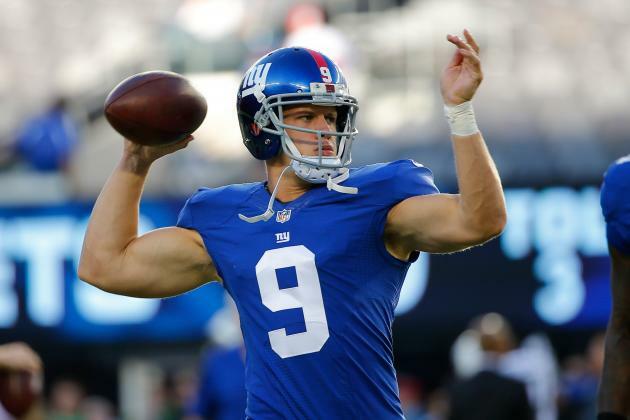 Is Ryan Nassib the New Eli Manning? To many, Eli Manning can be considered the face of the New York Giants, but he may have to look out soon. I myself am a die-hard Giants fan. I grew up watching Manning on my television for years and watched him win two Superbowls. But watching Manning this preseason is different- he seems out of his element like something is bothering him. I know age is a factor, but he looks lost. Maybe the fact that a new quarterback is being put to the test has something to do with his new ways. That new quarterback, Ryan Nassib, graduated from Syracuse University where he became the fourth Big East quarterback to pass more than 9,000 yards. For two weeks now, Nassib has led the Giants to victory beating the Indianapolis Colts and crushing the New York Jets. He looks promising for the Giants-maybe new blood is what they need this year. “It gets easier when you get into a rhythm and get into a little chemistry with your receivers and are able to go out there and play,” Nassib said. On August 28, the preseason finale against the New England Patriots, Nassib will get even more playing time than Manning to prove he has what it takes to be the next quarterback in the regular football season. I love Manning don’t get me wrong but, I may have to invest in a Nassib jersey pretty soon.